But the waiter just said 'Chinese food'. So we'll just call it North-Western Chinese, we really need to bring a map with us next time we ask. 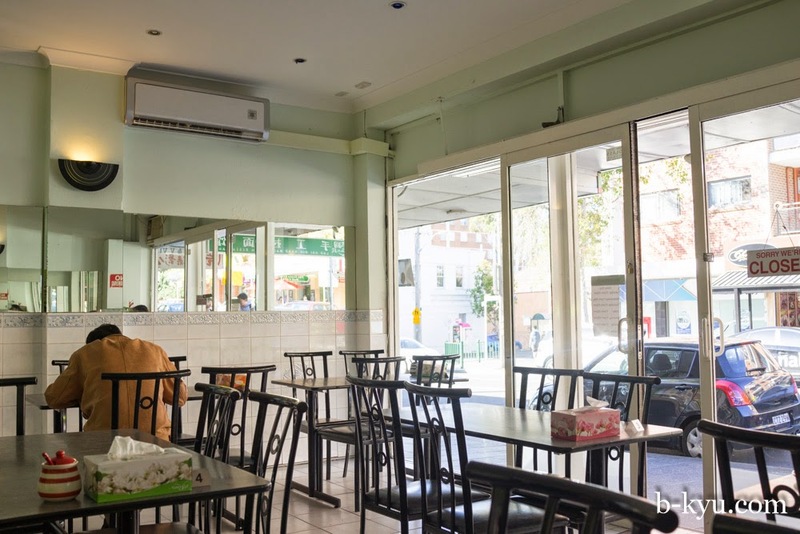 North-western means lots of lamb, some beef and chook, chompy handmade noodles, big soups and small refreshing sides. This style of food can be quite heavy with meat and carbs, wonderful in winter, but we chanced upon some lighter dishes which suited our stomachs. 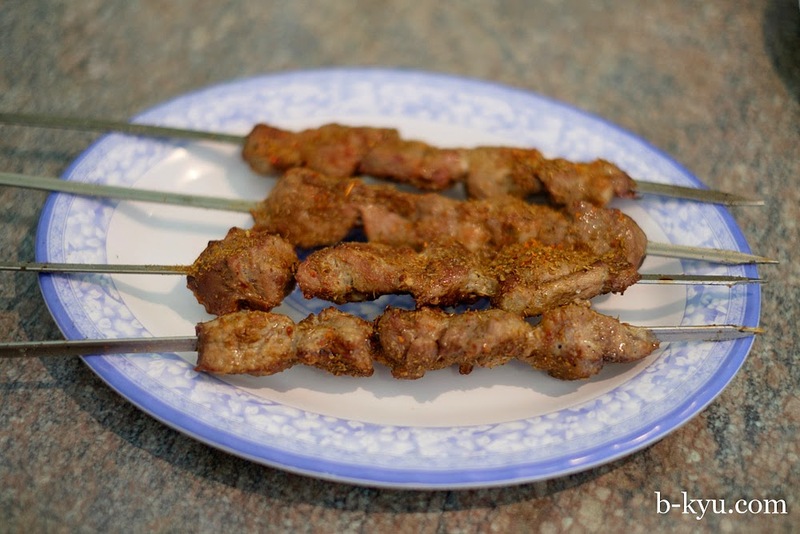 Lamb kebab - $10 for 4. Cumin encrusted grilled lamb. A must. The pieces were big enough for some bite and had enough fat to get a little crusty on the outer. 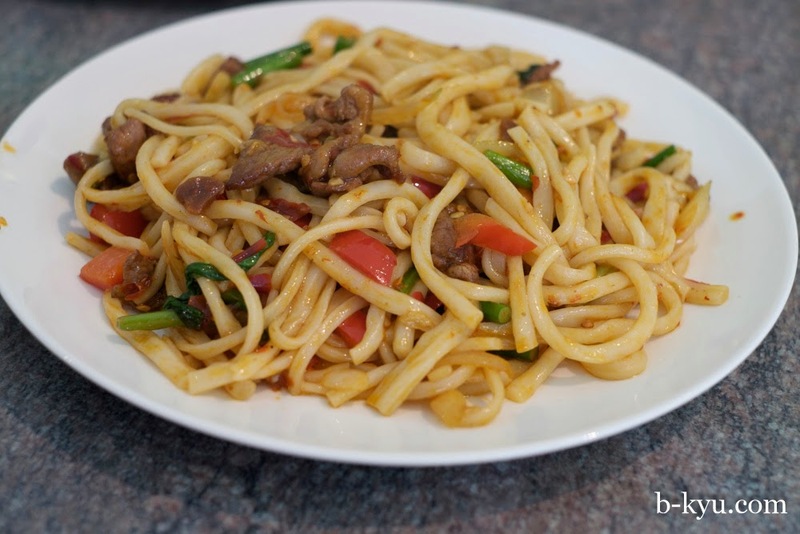 Special stir fried noodle in chili sauce - $13.80. Thick toothsome noodles handmade to order, fried up with some protein and veg, and a handful of chillis just for a small hit. 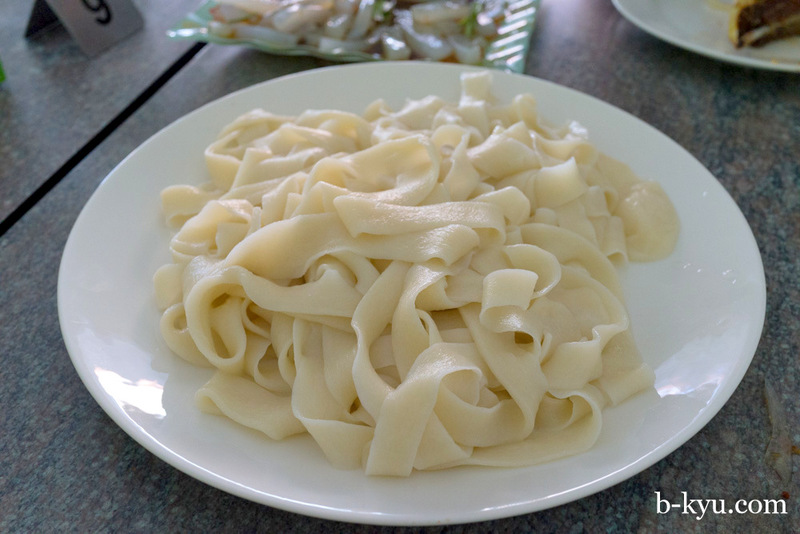 This style of cooked noodle could seem a little plain compared to other types of noodle stir fries, there's not a lot of shiny sauce in the dish. The upside is the noodles are really the star of the show, shining in their non uniform consistency and thickness. We had settled on trying the chicken soup with dumplings but they are all out. The boss lady suggests lamb soup ($12.80 we think) and it's excellent. 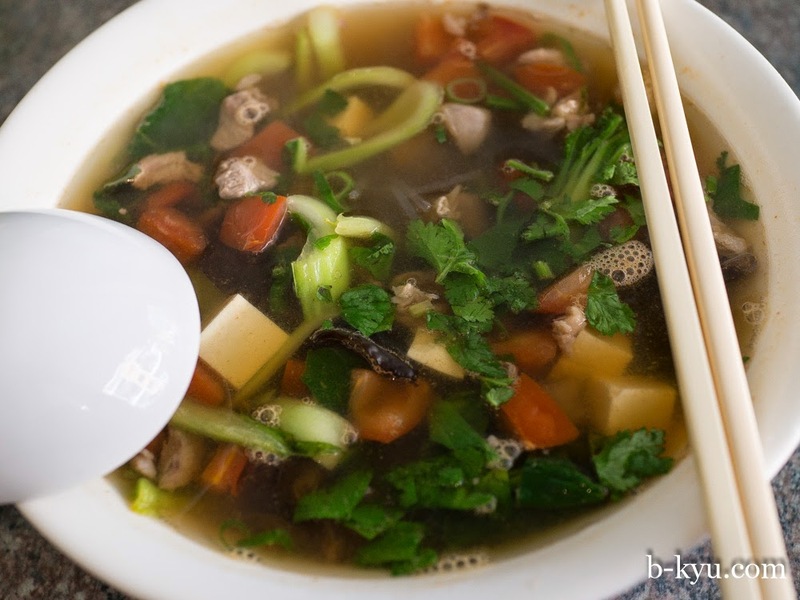 A big bowl to share with little lamby dumplings and veggies in a wonderful broth that is thin and clear whilst big on the lamb flavour. We love this to bits. Fried lamb rack with cumin - $18. If you're a lamb fan you have to try this. Lamb ribs fried so the outer crisps up a little, with a dust storm of cumin shaken all over. 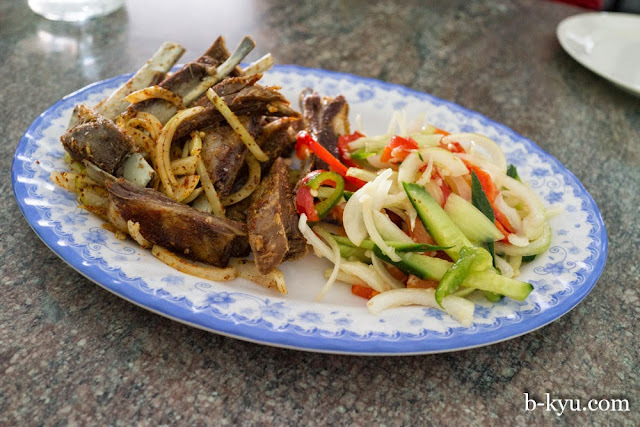 The lamb fell off the bones as you took a bite, they are most probably cooked a little before being plunged into the oil. The side salad was so simply wonderful, onion, cucumber, capsicum and carrot in a garlic dressing. 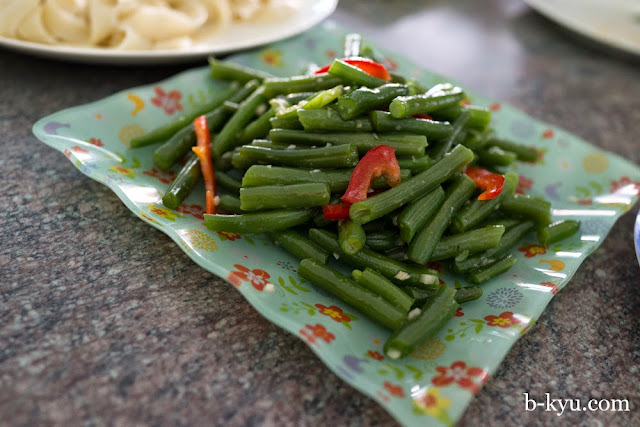 Cold jelly in chili sauce - $6.80. We love the texture of these slippery fellows. These noodles are super hard to handle with chopsticks, it's an art just getting them from plate to mouth. Beans in garlic sauce - $8. The beans were cooked through and soft, but the garlic sauce (a salty thin sauce with chopped fresh garlic throughout) saved the day. Handmade noodle - $4. A plate of noodles is a great side if your dishes are noodle-free. These thick chumpy beauties are made out the back. If you hear an enormous 'thwack' as you sit and wait for your meal, it's not the chef's out back having a barny and fighting it out. Look instead in the kitchen for a small woman hoisting ribbons of dough and making magic out of it. 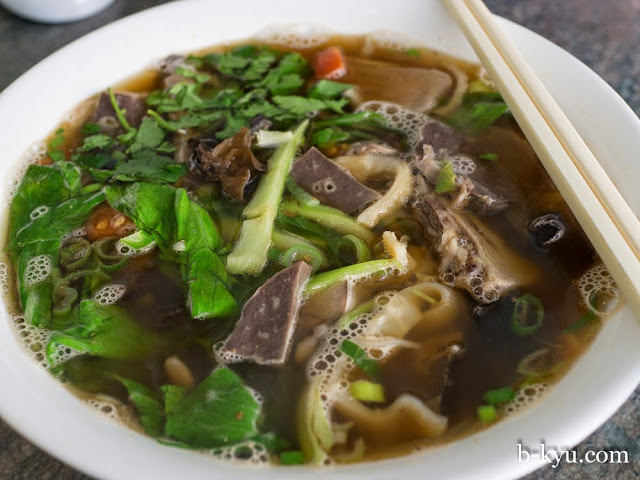 Mutton soup - $11.80. Or hamburger soup as we dubbed it. The mix of light lamby broth and tomato tastes like a hamburger, the old school Aussie kind. We expected big thick handmade noodles but this soup came with thin glass noodles. 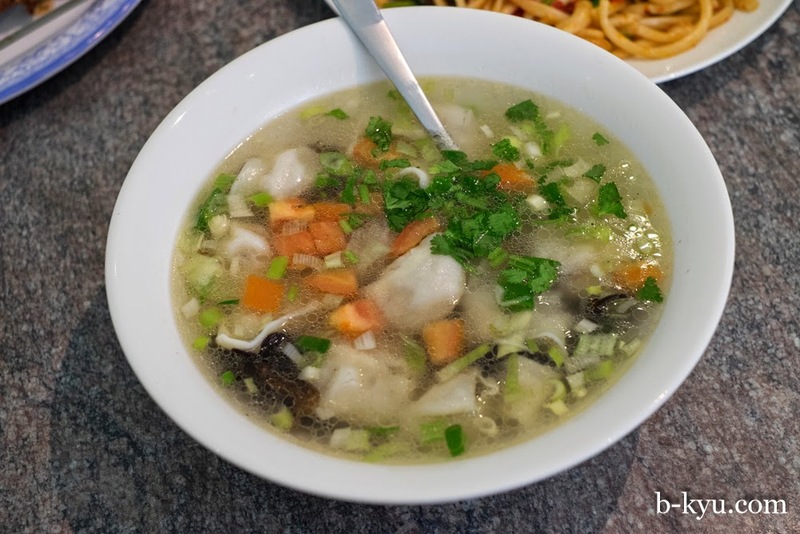 There seems to be other soups on the menu where you can get handmade noodles, or order an extra plate on the side and make your own style up. Haggis soup - $12.80. A meaty cumin scented broth with loads of animal mystery innards. 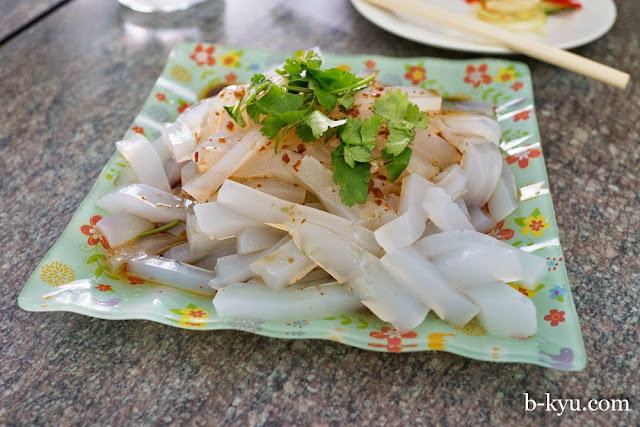 This one also came with glass noodles. The haggis part seemed to mean an interpretation of all the bits that are normally ground up and stuffed into a sheep stomach, however here they are all sliced and in your soup bowl. It's different to this interpretation from Lucky Peach of haggis stuffed into dumplings which we would dearly love to try. We picked out tripe, tongue, possibly lung and meaty head bits too. It's like the whole of the pluck gets a go in here. It's an incredibly generous serve of inner bits too, there's more than enough to share. 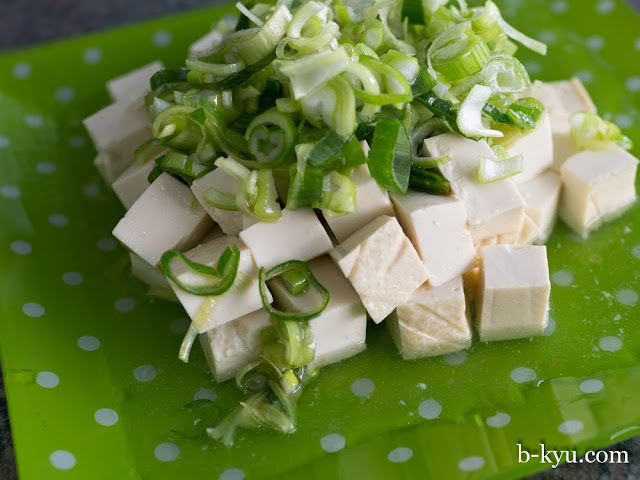 Tofu chopped with chopped shallot - $6.80. Cold soft tofu with plenty of garlic and a good dash of salt, topped with fresh shallots. This is so simple, a recipe we will be stealing to eat at home. 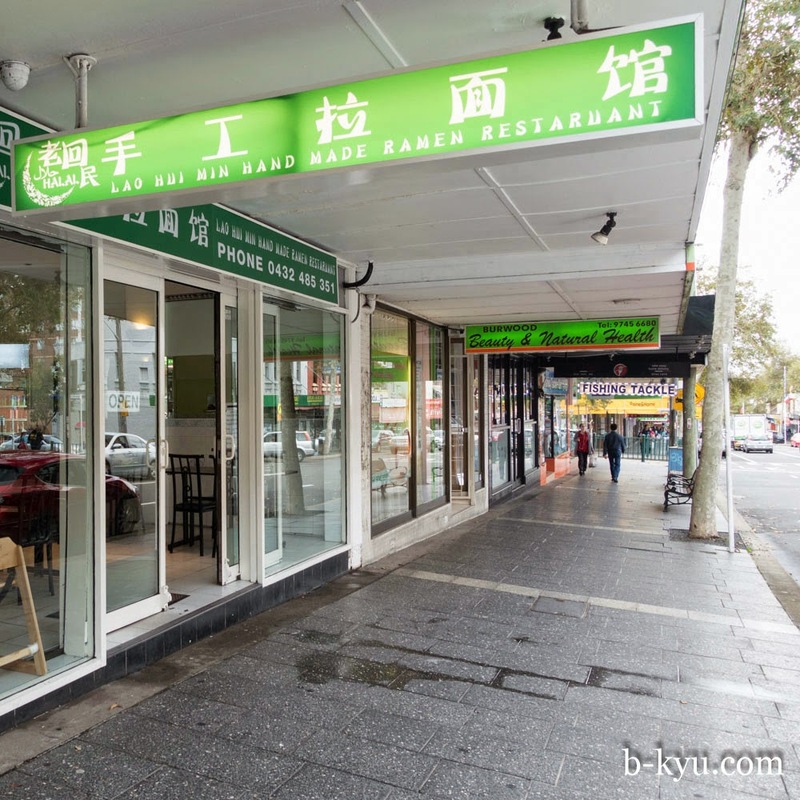 Lao Hui Min Hand Made Ramen Restuarant is at 193 Burwood Road, Burwood. Phone 0432 485 351.